What happened at a crucifixion? What crimes was Jesus accused of? 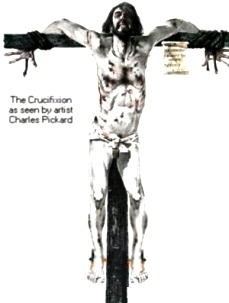 Crucifixion was a shameful punishment inflicted on slaves, criminals and rebels. 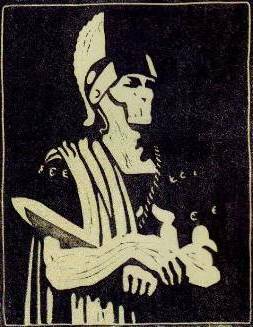 No Roman citizen could be crucified without the personal authorization of the emperor himself. The suffering in this form of execution is still reflected in the English word ‘excruciating’. 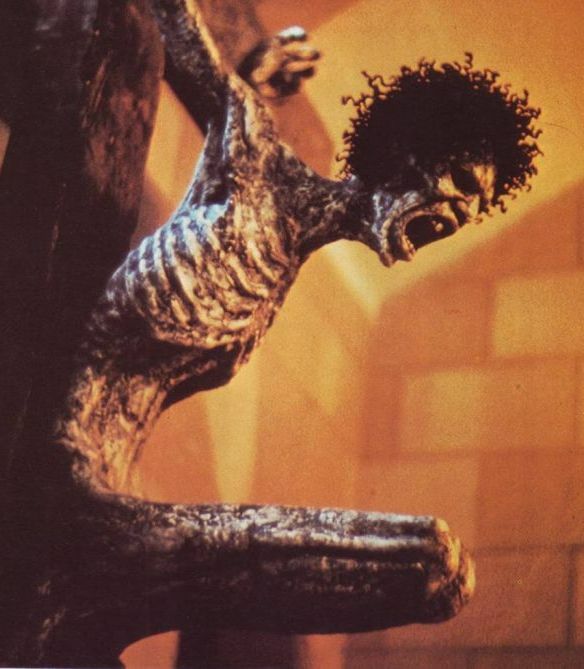 The crucified man was tortured and demeaned in every possible way. Throughout the Roman world, men were crucified naked – though this may not have been the case when Jesus died. Jewish laws stipulated that if a man was stoned to death he must be allowed to wear a loincloth. Did the Romans respect Jewish law when Jesus was crucified, and allow him to wear a loincloth? There is no way of knowing. 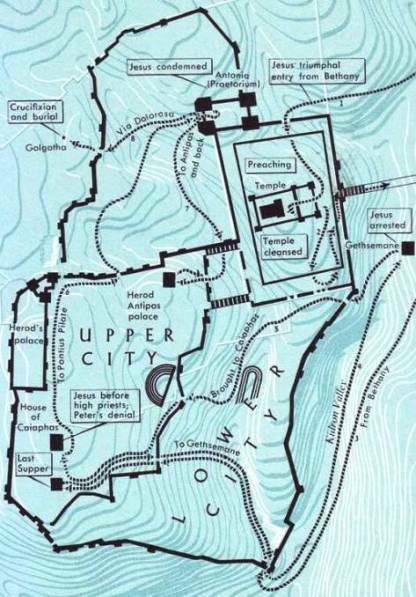 The exact location of Calvary is unknown, but Jewish and Roman practice was to perform executions outside but near the walls of a city or town. The site of Jesus’ death must have overlooked a main road outside Jerusalem, since the gruesome spectacle was meant to act as a deterrent to as many people as possible. The site of execution was called the ‘place of the skull’, but not because there were skulls or bones lying on the ground there, as is sometimes shown in paintings. The Jewish people were scrupulous in their treatment of human remains, and would not have allowed such a thing. The Aramaic name suggests a rounded bare hill, like the rounded top of a skull. The hill could not have been a high one, since passers-by who mocked Jesus must have been close enough to read the inscription placed above his head. There was some variety in the shape of crosses, but the one used for Jesus was probably similar to the traditional cross shown in Christian paintings. The main upright beam was permanently fixed in the ground; it had a detachable cross-beam which the condemned man was forced to carry to the place of execution. The cross-beam was fixed so that the victim’s feet were off the ground. There might be a small wooden projection which he could straddle, though in Jesus’ case this does not seem to have been the case: the projection was meant to prolong a man’s life and suffering, but Jesus died quickly. Both the cross-bar and the upright were re-used many times, and they and the whole area would have been covered with blood and body-fluids, a magnet for flies and vermin. Jesus, as he died, was tormented not only by his wounds but by swarms of biting flies. Jesus would have been made to lie with his back on the ground and his arms stretched out so that the soldiers could nail through his lower forearm or wrist into the wooden cross-beam. In the case of Jesus, they may have damaged the Ulnar artery running down his forearm, causing severe loss of blood: this would explain why Jesus died relatively quickly. After this the cross-beam was hauled up, with Jesus attached, and fixed to the upright beam of wood. Then a nail was pounded through his foot or ankle, anchoring it to the upright wood behind. Finally the inscription detailing his crime was placed above his head. For hours, and sometimes days, a condemned man was trapped in this position, naked and struggling to breathe. His position made his lungs constrict, but if he pushed himself up to make breathing easier the pain in his hands and feet was unimaginable. He eventually died through a combination of heart failure, suffocation and brain damage caused by lack of oxygen. On his way to the place of execution, a condemned man carried a wooden board, whitened with chalk or gypsum, on which was written his crime. In Jesus’ case, this notice bore the inscription ‘King of the Jews’ – written in Aramaic, Greek and Latin. Jesus was thus named as a political rebel against the authority of imperial Rome. The ‘INRI’ in traditional paintings was a shortened version of the Latin Iusus Nazarenus Rex Iudaeorum – Jesus of Nazareth, King of the Jews. Almost all 1st-century Jewish men could read, and many could write, so the passers-by had no trouble in understanding what was written on the sign. Some of the Jewish leaders objected to the words ‘King of the Jews’. They thought it should read ‘he claimed to be King of the Jews’. But Pilate was tired of being hounded by them and refused to co-operate with their wishes. Christian churches, both Protestant and Catholic, have often concentrated on the sufferings of Jesus on the cross, but if you read the gospel accounts you will see that the evangelists did not. They recorded the facts of what happened, and did not dwell unduly on Jesus’ sufferings. It was his redemptive death that mattered.